After many years of commentating upon the Crime, Mystery & Thriller genre, be it reviewing books, meeting film makers, interviewing writers, and reading for The Crime Writers Association, one observation of mine is as intriguing as it is valid. 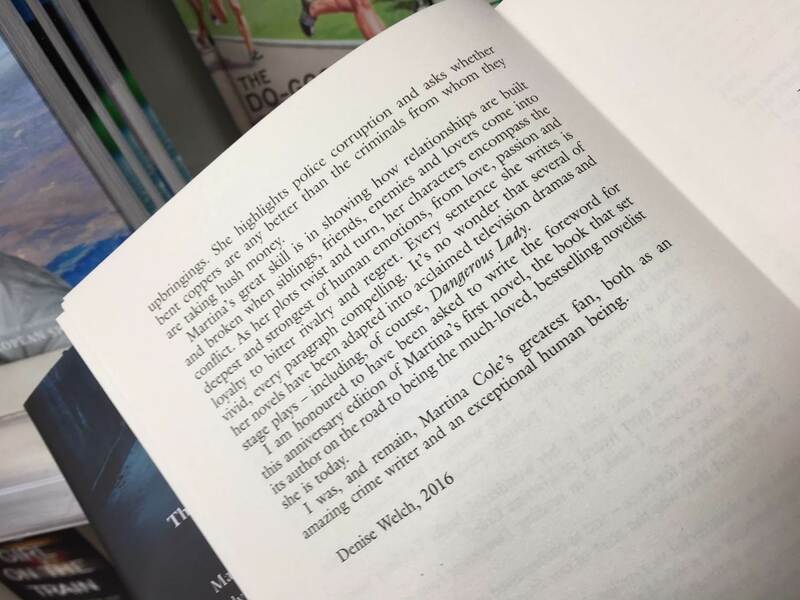 The writers, who pen the darkest work, are often the nicest, most modest and generous of people. Martina Cole, now one of Britain’s biggest selling and most widely read in the darkest edge of literature – is such a person, and one of the most modest people I know despite her stature in the genre for she casts a long shadow. 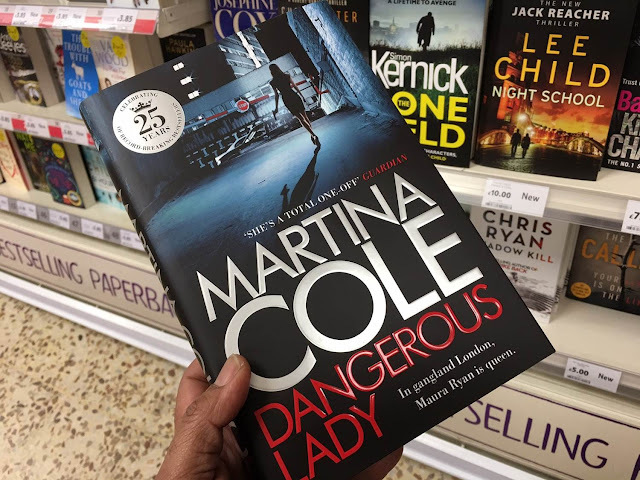 Martina's early backlist in PB as well as the special edition of Dangerous Lady, are heavily discounted so look out for them in your local bookstore. 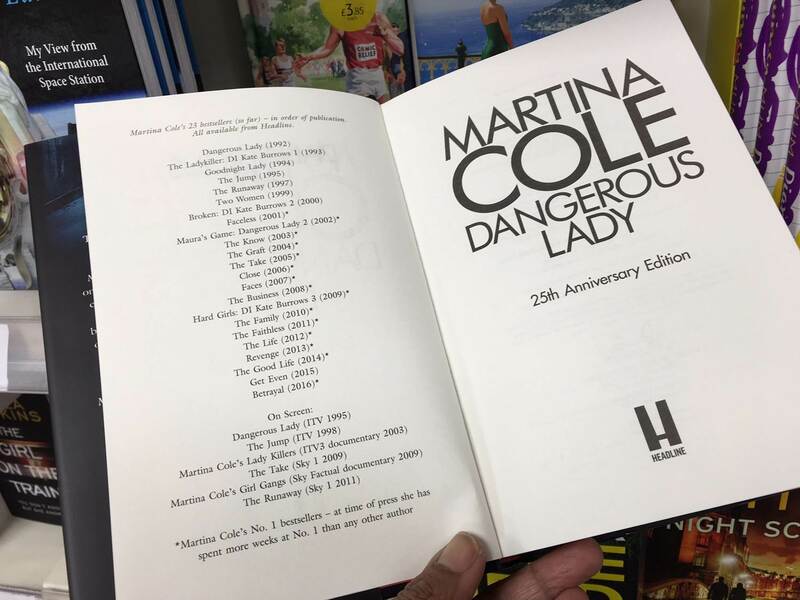 Martina does much charity work, including literacy for the underprivileged and women in prisons; so it is fitting that in-concert with her publisher she has donated 3,500 free copies of the commemorative edition of Dangerous Lady to public and prison libraries. Martina apart from being a truly incisive and elegant writer, chronicling the dark underbelly of society, with characters struggling to manage their chaotic lives; but all with a compassionate eye – is also one of the funniest people I know. Here she is talking with her publishers answering 25 questions about her 25 years as a published crime writer. The Shots Team have enjoyed her work for more years than we would care to mention, without having a lawyer present. Though one of the funniest was when Martina met Herbert Lom [aka Chief Inspector Dreyfus] for which the taking of this photograph belays an amusing story that always makes me laugh. Anderson got that right. 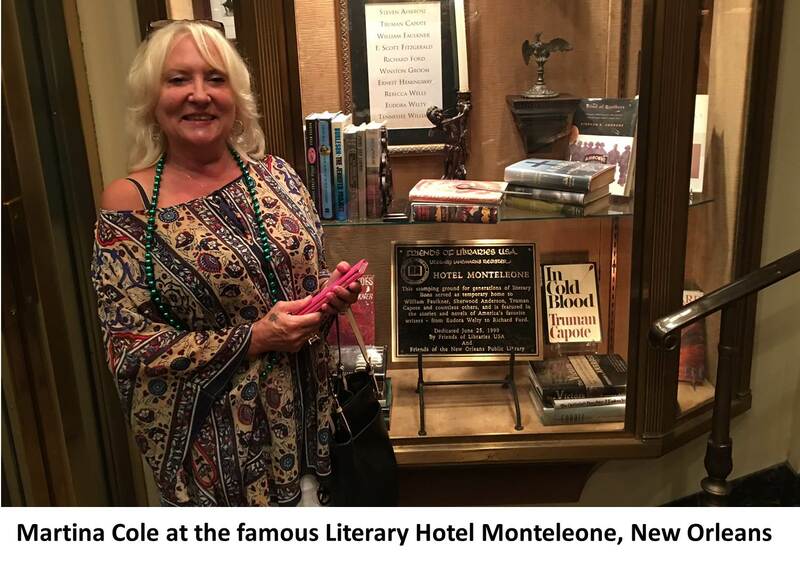 Cole has shifted £63.2m through BookScan, making her the bestselling British-born crime writer since Nielsen records began, and sixth overall in terms of the top-earning adult fiction authors. Her books have spent a total of 62 weeks atop The Bookseller’s Original Fiction chart in the Nielsen BookScan era—a record. And she continues to attract readers: her autumn 2016 hardback, Betrayal, was around 20% up in sales terms on 2015’s Get Even. I also recall with clarity, getting to see Dangerous Lady performed as a startling play in East London, with Martina and TV Producer / Director Barry Ryan – click here for more information. 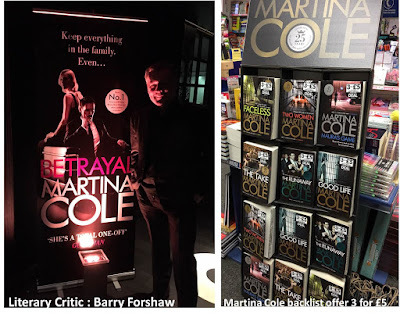 And one must not forget that her latest work Betrayal is out currently and of course her launch parties are legendary as this link indicates. 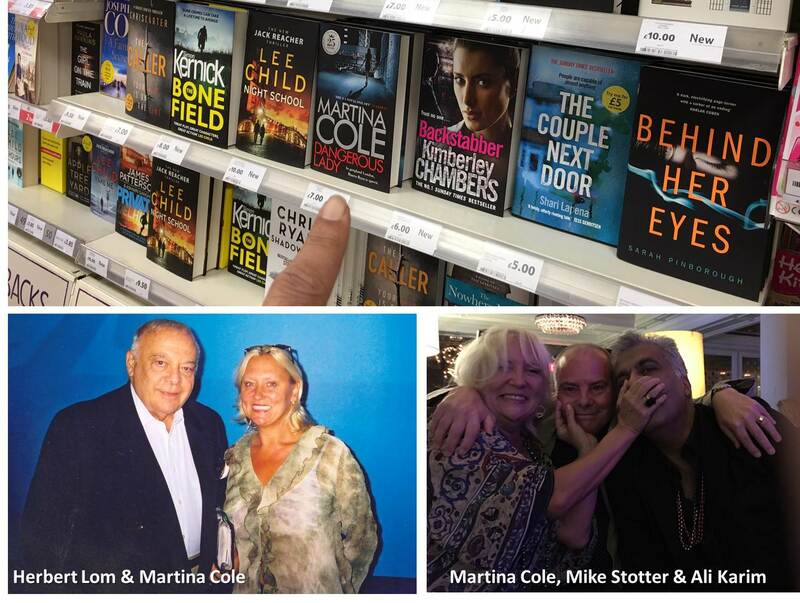 This interview with Martina as part of Peter James TV’s The Author Studio is most interesting, from last year’s Theakstons Crime Writing Festival Harrogate where Martina was one of the guests of honour. 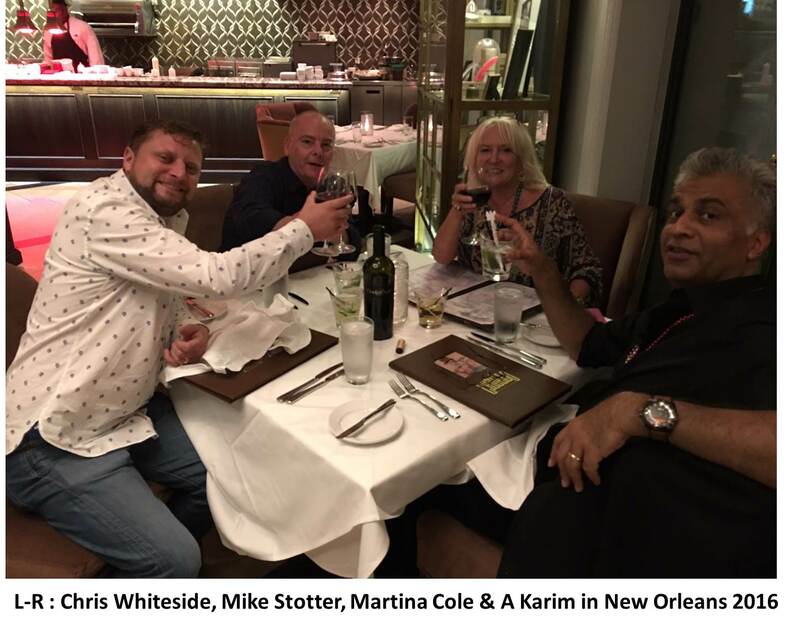 Here’s to Martina’s next 25 years!